Faculty and staff whooped it up today as they gathered to celebrate the university’s being ranked a “Great College to Work For” by The Chronicle of Higher Education. It was the third year in a row that FIU has earned Honor Roll distinction. President Mark B. Rosenberg delivered the news to loud cheers. 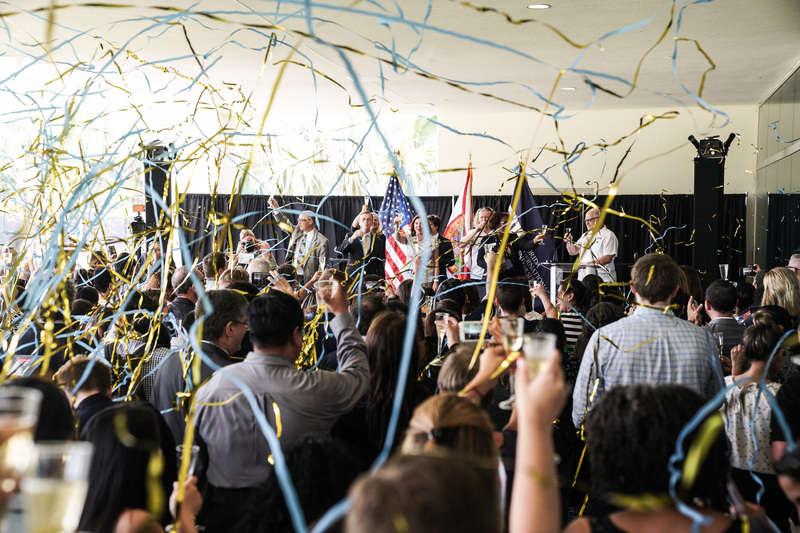 He also brought up another recent big achievement: FIU’s ranking second overall among Florida’s 12 public universities in key performance indicators such graduation and retention rates. FIU came in just behind the University of Florida, something Rosenberg views as a challenge. Rosenberg addressed some of the reasons he believes the university is doing so well. “No university in this country is as privileged to have the students that we have right here in the 305,” he said. “We recognize that we have something very special here.” Even in the good mood of the moment, Rosenberg acknowledged the lows. He mentioned the tragedy of the March bridge collapse and asked that attendees join in a moment of silence for the victims. El pagnier Hudson, interim vice president of Human Resources echoed the sentiment. “We have cultivated a workplace culture that is resilient against all odds,” she said. Claudia Puig, chair of the FIU Board of Trustees shared that “as a proud FIU alumna, it’s one of my greatest joys to give back to the institution that has given me so much. I would like to extend my most powerful congratulations to all of you,” she said. Employees basked in the speeches, music and a special toast, all of which served to highlight the work of faculty and staff who every day give their best. “This event, it’s a celebration of all of our jobs,” said Cody Fairfield, senior accounting clerk in the Office of Student Financial Services. Fairfield has worked at FIU for nearly five years and his enthusiasm has never waned. “I love helping students and families succeed,” he said. Janice Spann-Givens MS ’05, associate director of Multicultural Programs and Services, has been at FIU for nearly 30 years and likewise cannot say enough about the experience. “I love working here! I get to work with students. That’s my passion. I get to prepare them for the real world,” she said. Spann-Givens was among the thousands of employees at 253 colleges and universities nationwide asked to take a workplace satisfaction survey by The Chronicle of Higher Education. 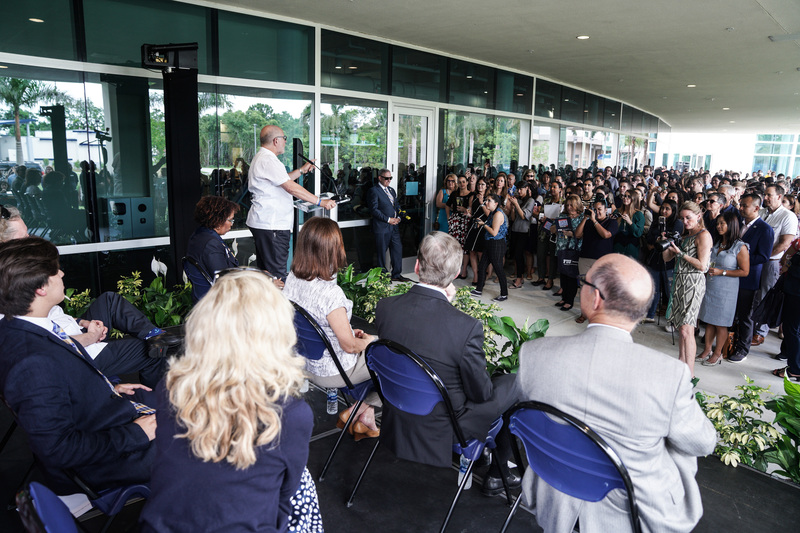 She was one of 600 employees randomly invited by the publication to answer questions about FIU.